As simple as getting a logger, your required sensor and viewing the results on your internet dashboard, it's that easy. We have worked hard to make the change to IOT "Internet of things" easy for all. Plug in the TruSense input module that your sensors are connected to and the logger will boot up and start sending data automatically to our dashboard for you to look at on the web. We have a range of loggers to try and cover all the areas of New Zeland and Australia. We plan to produce new loggers as new technology is deployed. IOT loggers are only as useful as the infrastructure that is in place to allow them to talk to the internet. So we have added Satellite to cover all. If Sigfox or LoRaWAN is available in your area then great. If not then we still have satellite. Click here to view our range of loggers. 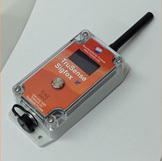 The TruSense logger does not come with a set of built in sensors. The sensors are connected to an "Input Module" that plugs into the 6 pin connector at the bottom of the logger. This allows our logger to be almost anything you want them to be. Look through our list and if you can not find the one you want contact us. We may be able to help. Click here to view our range of input modules. This is just as important as the rest. If you can not look at your data in a meaningful, useful way it's pointless!!! We have tried to make this part as painless as possible. Click here to learn more about the dashboard system.